WPI’s Engineering Ambassador Program addresses the challenge companies have to recruit diverse, top-notch engineering talent. Through the program, top undergraduate students majoring in STEM (Science, Technology, Engineering, and Math) fields are specially trained to conduct community outreach on behalf of your company. Through interactive, hands-on demonstrations, Ambassadors introduce K-12 students to the exciting world of engineering, inspiring a curiosity and interest in science and technology––and engaging future engineers. The confidence, leadership skills, and experience gained by being an Engineering Ambassador––coupled with the outstanding STEM and engineering education at WPI––uniquely position and prepare our Ambassadors to hit the ground running when they begin their careers. The program, which began in 2011, attracts the best of a diverse pool of WPI undergraduate STEM students and the application process is rigorous, with one in five applicants accepted. To date, we have had 41 Engineering Ambassadors (65% women) and our programs have reached more than 7,000 K-12 students. The WPI Engineering Ambassadors program provides us with the best and the brightest to share their passion about science and engineering, and to educate the next generation about smart grid technology. Why Sponsor an Ambassador Program? A select group of exceptional students who meet your company’s criteria (GPA, major, etc.) will gain experience with your company/industry. The program is an excellent recruiting tool, and sponsoring companies have the exclusive option to run an internship program with designated Ambassadors––an ideal opportunity to evaluate talent. 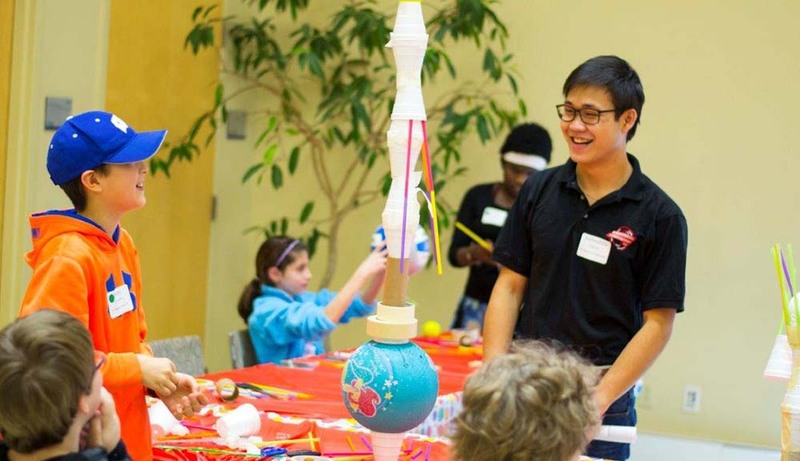 Positive role models associated with your company who spread excitement about STEM careers to middle and high school students, expanding the STEM pipeline, as well as other WPI students. We recruit Engineering Ambassadors in the spring semester and your Ambassadors are exclusive to your company for one academic year. To learn more about how your company can sponsor an Engineering Ambassador program, please contact Sharon Deffely at sdeffely@wpi.edu or 1-508- 831-5368. Are you a student interested in becoming an Engineering Ambassador? Learn more about program requirements and how to apply. There are three different levels of sponsorship, depending on the size, needs, and interests of your company, as well as your budget. Companies work with our team to customize the preferred majors and GPA of our Ambassadors so the students complement your business/industry focus.